...To Malware Charges Marcus Hutchins, the computer security researcher who helped stopped a cyberattack in 2017, has pleaded guilty to writing malware years before he became a hacking hero. WannaCry Ransomware Hutchins, who is best known by his MalwareTech alias, held a pivotal role in stopping the global spread of the WannaCry ransomware, which rapidly spread and infected computers in May 2017. 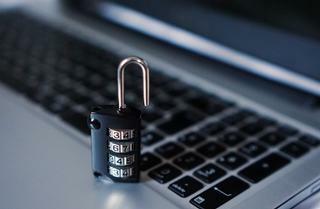 Once the malicious worm infects a Windows computer, it encrypts files on the hard drive, making it impossible for uses to access. It then demands a ransom payment to be paid in bitcoin to decrypt the files. The worm spread from computer to computer sans any interaction from users. As WannaCry shutdown computers worldwide, Hutchins found the domain that triggered a developed-created kill switch that prevented the worm from spreading. He ensured the kill switch remains activated to prevent the malware from spreading again. Arrested For Creating And Selling Malwares Hutchins' heroic acts were tarnished when he was arrested by FBI agents in August 2017 at the McCarran International Airport in Las Vegas. He was heading back home to the UK at the time after attending the Def Con, one of the world's biggest hacking and security gatherings. He has been held in the United States since his arrest. The 24-year-old was charged for creating Kronos, a banking trojan that stole online bank account passwords from computers. More charges were later filed over claims that Hutchins created another malware called UPAS Kit, and that he worked with a co-conspirator to advertise and sell the two malware strains online. These activities happened years while Hutchins was still a minor and were not related to WannaCry. Faces Up To 10 Years In Prison In a plea agreement filed with the Eastern District of Wisconsin. Hutchins agreed to plead guilty to two of the 10 counts. The rest of the charges were dropped. The security researcher may face up to 10 years in prison for the two charges, and fined up $250,000. In a statement posted on his website, Hutchins said he regrets his actions and takes full responsibility for his mistakes. "I've pleaded guilty to two charges related to writing malware in the years prior to my career in security," Hutchins wrote. "Having grown up, I've since been using the same skills that I misused several years ago for constructive purposes. I will continue to devote my time to keeping people safe from malware attacks." Windows 10 was supposed to receive a Sets feature that kept your app data, sites and other info in check through browser-like tabs, but you'll have to find another way to organize your digital life. ZDNet sources understand that Microsoft quietly killed Sets and has no plans to revive it. Reportedly, the feature just "wasn't well received or understood." The team still wants to introduce tabs into the Windows Console, according to the sources, but it can't use Sets as the groundwork. The decision to re-do Edge using Chromium helped Microsoft make the decision, the tipsters said. The amount of work needed to integrate the revamped browser into Sets would have either required that Microsoft delay Edge's release or else left it without Sets support for months. We've asked Microsoft for comment. Over the weekend, though, Senior Program Manager Rich Turner hinted at Sets' apparent death with a remark that the "Shell-provided tab experience is no more." It's not uncommon for software developers to cut or modify features after they don't work as promised. It's not often you'll see them announced so publicly and remain in limbo for so long, though. Microsoft was discussing Sets with the public in late 2017, and let Windows Insiders test it in mid-2018 -- that's a long time to leave people wondering about a feature's fate. While you probably won't find too many people shedding a tear over Sets, it's a rare gaffe for a modern Microsoft that has a good track record for delivering promised software updates. Samsung's beleaguered Galaxy Fold is no longer launching April 26. 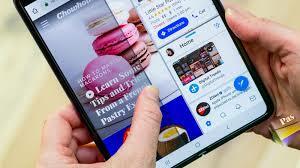 After several incidents with screens last week left early-production review units unusable, Samsung announced on Monday that it will delaying Friday's scheduled sale date of its foldable phone, saying it will announce a new released date "in the coming weeks." "Initial findings from the inspection of reported issues on the display showed that they could be associated with impact on the top and bottom exposed areas of the hinge. There was also an instance where substances found inside the device affected the display performance," Samsung said in a statement. "To fully evaluate this feedback and run further internal tests, we have decided to delay the release of the Galaxy Fold." The company also sent emails to users who pre-ordered the device -- including CNET reviewers -- saying that it will update them "with more specific shipping information in two weeks." Samsung isn't charging credit cards for the Fold until it ships, and the brand is also giving preorder buyers and out if they change their mind and want to cancel the order before it ships. News of the phone's delayed release was reported earlier Monday by The Wall Street Journal. That report follows a tweet from Engadget's Richard Lai on Sunday about the postponement of launch-related events in Hong Kong and Shanghai that were originally scheduled for Tuesday and Wednesday, respectively. Frequent mobile tipster Ice Universe corroborated on Sunday the postponement of "two events" -- presumably the launch events -- and suggested that shipments of the phone itself could be pushed back. SamMobile reported Sunday that Samsung was attributing the Shanghai event delay to problems with the venue, citing "someone claiming to be familiar with the matter." The incidents with the Fold's plastic screen -- which include a screen bulge and flickering display -- have caused a kerfuffle among onlookers, casting doubt on the durability of Samsung's $2,000 foldable phone and on the concept of bendable devices in general. CNET's Galaxy Fold review unit has remained intact, and we've been in contact with Samsung about the reported screen issues. A series of nine bombings in Sri Lanka targeting Christian churches and hotels in three cities killed at least 207 people and wounded up to 450 others on Easter Sunday. Defense Minister Ruwan Wijewardene described the coordinated blasts as a terrorist attack by religious extremists. Here is what we know: At 8:45 a.m. Sunday, bombs tore apart three churches, one in the capital of Colombo, and two others in the cities of Negombo and Batticaloa. Four hotels in Colombo were also attacked: the Shangri-La, the Cinnamon Grand, the Tropical Inn and the Kingsbury. There was another explosion at a housing complex in Dematagoda. Those targeted were members of Sri Lanka's Christian population and guests at the island nation's luxury hotels. Secretary of State Mike Pompeo said "several U.S. citizens" were among those killed. The government of Sri Lanka has temporarily blocked social media services like Facebook and WhatsApp to prevent the spread of misinformation. 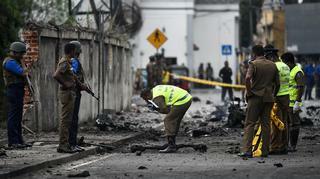 Sri Lanka's state minister for defense said 13 suspects have been apprehended and the attacks appear to have been carried out by suicide bombers. Sri Lanka experienced a vicious 26-year long civil war between its Sinhala Buddhist majority and minority Tamil Tiger ethnic group that ended in 2009. Japan confirms 1 fatality in Sri Lanka blasts Japan is confirming one of its citizens was killed in the Easter Sunday bombings in Sri Lanka and at least four were wounded. Foreign Minister Taro Kono offered his condolences to all the victims of the attacks and expressed Japan's commitment in "combating terrorism" and solidarity with Sri Lanka. Japan also issued a safety warning, telling Japanese people in Sri Lanka to avoid churches, mosques, public places like malls and nightclubs, and government offices related to public security. -The Associated Press Eiffel Tower to pay tribute to Sri Lanka victims The Eiffel Tower's Twitter page announced it would turn off its lights "to pay tribute to the victims of the Sri Lanka attacks." As clever as Google Lens can be, it's still quite limited in what it can do before it points you to another app. You might not have to lean on those other apps quite so often n the near future. In the wake of an initial discovery earlier in April, the 9to5Google team has spotted evidence that Lens could soon include a host of "filters" aimed at fulfilling specific augmented reality tasks. A "translate" filter, for instance, might auto-detect one language and offer to convert it to another instead of simply copying text and asking to launch Google Translate. There are also references to a "dining" filter that would search nearby restaurants, including popular dishes. A "shopping" filter appears to focus on more generic goods. Combined with the translation feature, it appears as if Google wants to offer a range of specialized searches instead of a one-size-fits-all function. It's not certain when the upgraded Lens might arrive, assuming it does at all. With I/O starting on May 7th, though, it wouldn't be surprising if Google revealed or even releaseed the feature as its developer conference got underway. President Trump blasted House Speaker Nancy Pelosi for defending Rep. Ilhan Omar and called the freshman Democrat “anti-Semitic” and “out of control.” “Before Nancy, who has lost all control of Congress and is getting nothing done, decides to defend her leader, Rep. Omar, she should look at the anti-Semitic, anti-Israel and ungrateful U.S. HATE statements Omar has made. She is out of control, except for her control of Nancy!” Trump tweeted Monday. Game of Thrones set a massive ratings record for its final season premiere. The HBO hit delivered 17.4 million viewers on Sunday evening across multiple airings and including some streaming. That makes the GoT season 8 premiere the biggest telecast in HBO’s history and the most-watched scripted entertainment program of the year (the prior record holder was CBS’ The Big Bang Theory with 14.1 million viewers on Feb. 7) — despite HBO being available in far fewer homes than the broadcast network. The number surpasses the show’s previous overnight record of 16.9 million viewers for the season 7 finale two years ago. The show didn’t surge quite as much from the season 7 premiere (16.1 million) as one might have expected, however. But the record is despite HBO losing Dish subscribers in a contract dispute last December (which HBO believes impacted the numbers), and certain streaming partners (such as Amazon, Hulu, Roku) not being counted in this first-round number. By comparison, the finale of HBO’s The Sopranos in 2007 had 11.9 million viewers. The show also blew up Twitter, racking up 5 million tweets, a record for the show (Sam revealing the truth about Jon Snow’s parents was the most tweeted about moment). GoT is the extremely rare drama that has managed to grow its audience every single season (AMC’s Breaking Bad was another). AMC’s The Walking Dead used to top Game of Thrones in the ratings, but the zombie drama has recently fallen to around 5 million weekly viewers. Last week the U.K.’s Daily Mail wrote a story claiming the return of Game of Thrones could rack up a billion viewers worldwide, but the truth is even HBO doesn’t know how many viewers their show gets globally given all the various methods of distribution. The real global number will be far closer to 100 million. (NCIS was calculated in 2016 to be the “most watched drama in the world” with only 47 million viewers). Still, GoT is very likely the world’s biggest show at this point. GoT‘s seventh season grew to average about 32 million viewers per episode after months of streaming viewership was added. And if this kind of number is what the season premiere is doing … what’s the May 19th series finale going to get? FILM Who are the Avengers and what is Endgame all about? Players guide to the exciting world on UK gaming. Visit top 10 selected casinos, read our comprehensive and user-friendly gaming guides and choose which great online casino uk you wish to play on. Turismo en Colonia del Sacramento FB- Taking Online Classes? Check Out Our Partner. Taking Classes Online? Learn More About New Trends.